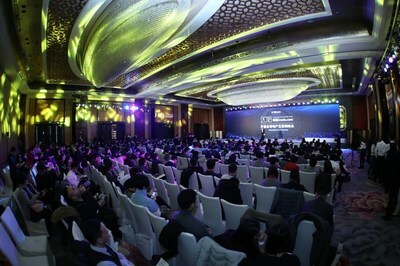 BEIJING, Dec. 12, 2018 /PRNewswire/ — Uoolu, the leading platform for cross-border real estate transactions, will host the 2nd Global Real Estate Internet Summit in Beijing on Jan. 14, 2019 with the theme of “Technology links Global Real Estate”, where it will unveil the award “2019 Uoolu Global Real Estate Top 100”. The First Global Real Estate Internet Summit held in January 2018 brought together hundreds of developers from 22 countries, including Emaar the largest developer in the Middle East, Lennar the largest residential developer in US and Origin the fast growing and public developer in Thailand, etc. Hundreds of renowned media outlets, including the Wall Street Journal, South China Morning Post and Financial Times, have reported on the influential summit. The theme of the 2nd Global Real Estate Summit in 2019 is “Technology links Global Real Estate”. Along with the development of technology including AI and big data, with the tendency of online transactions, Uoolu will innovatively launch the global technology solution to real estate developers, helping them to market their brands, accurately locate clients and close online transactions around the world wide. Under the trends of global assets allocation, regional investments no longer suffice the high net worth individuals. Uoolu.com provides the latest global real estate investment data, helps clients to choose real estate properties and close transactions safely online and on mobile devices. The 2019 Summit will feature over 100 top developers from 32 countries, over 500 high net worth individuals and more than 100 international media outlets. Uoolu is going to unveil the award “2019 Uoolu Global Real Estate Top 100”, launch the global technology solution “Uoolu International”, sign with strategic real estate developers and discuss the new trends of 2019 with industry leaders. Uoolu.com, founded in Beijing in 2015, is the leading platform for cross-border real estate transaction. We are dedicated to helping high net worth individuals to invest in cross-border assets safely and efficiently. We have about 3 million monthly active users, accessible to 4 billion internet users in 135 countries and regions, 1,000 global partners and have realized annual transaction volumes in the billions of dollars.